I think we will be seeing a flower very soon. Look at the heads on the sunflowers below. Last weeks is on the left and this weeks is on the right. Wow! What a change from last week. Can you spot all the courgettes beginning to grow now the flowers are dying. 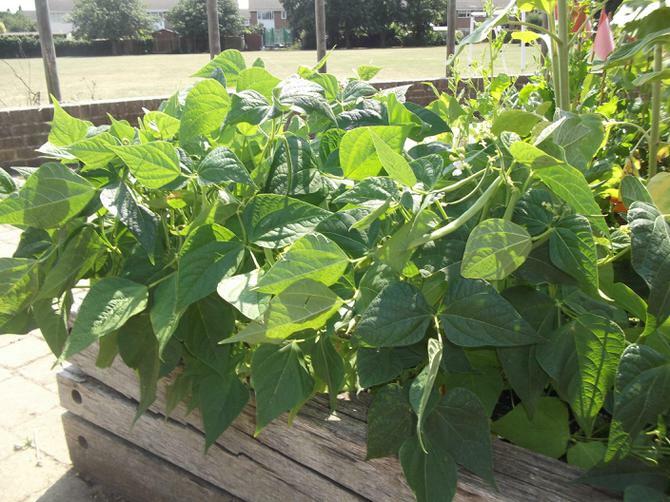 Our French beans have grown so well everybody was able to take one home on Friday. At last our water melons are taking off and some have become a lot taller.